Marvel reciprocating coders are typically used in inspection applications for automotive parts, plastic products and packaged items. These coders include clean inking systems which eliminate ink spills and messy marking stations. 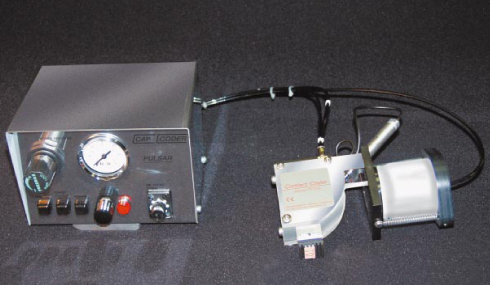 For intermittent coding applications, the pneumatically operated CC100 Contact Coder uses a gentle touch printhead, with precision-engraved rubber dies, to print logos, product codes, expiration dates, prices, etc. on boxes, bottles, cans, glass jars, plastic bags, metal parts and more at rates up to 120 items per minute. The Contact Coder can be integrated easily with form, fill & seal equipment, as well as with bagging and cartoning operations to form a complete packaging system. Additionally, the Contact Coder is well-suited for industrial part identification and can be integrated into automated manufacturing lines. For manual operation, the CC100 can be configured as a bench top, stand-alone part marking station. 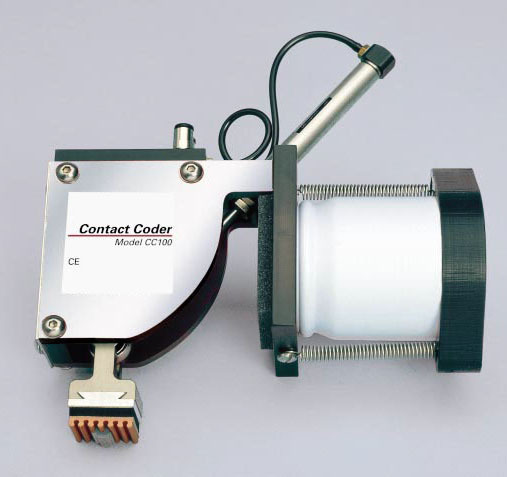 The CC101 Pulsar Contact Coder is based on the same platform as the CC100, but offers brightly contrasting marks with the use of pigmented inks. 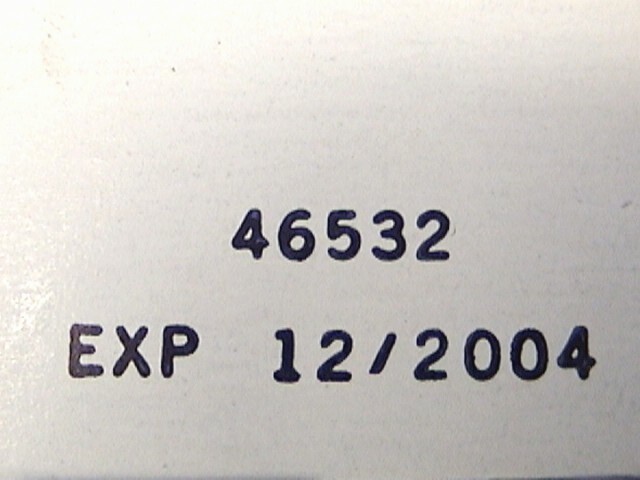 The inks are re-circulated in the cartridge by applying a carefully controlled pulse of air.